Hi. Great article and thanks to github sources, I managed to tried it. As you wrote it, I tried to mount docker.sock and docker client, within the container, but I got the cannot open shared object file due to OS spec. 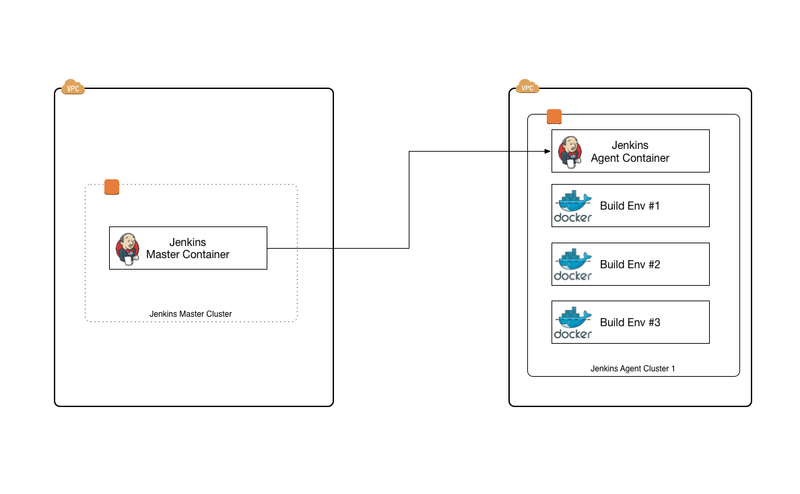 I ended up installing docker in the jenkins-jnlp-agent of your project. But with docker.sock mounted, it won’t be isolated anymore as images will be sibling (and not children) of the jenkins-jnlp-agent container. As I said, I might be missing something about Docker container jenkins slave. Your article let me understand docker volumes shared between master and slave, that’s still a good point. Anyway, good article, it’s interesting to see how things are handled on the Jenkins side. Docker may be adding some kind of transparent volume sharing ability, but I’ve found it’s just easier to not worry about mapping volumes to containers or “data-volume” containers. If I need to stick a build artifact into a container, I simply create a new temporary image. An advantage of this is that you can keep the build container around for debugging if you wish. 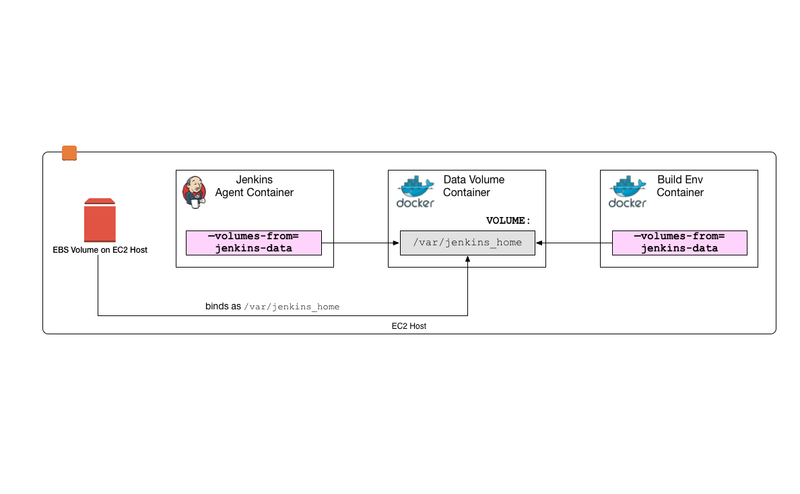 It’s been much easier to configure agents with settings and credentials to connect to a remote machine running docker, rather than messing with volume sharing. The idea is that an agent can be spun up on any cluster or machine and not worry about volume sharing paths. That is, when the agent is started, it is configured with DOCKER_HOST, DOCKER_TLS_VERIFY, and DOCKER_CERT_PATH that point to the remote docker build machine. This way the build machine can be cleaned/restarted independently of the cluster of agents.